GROUPBUY IS LIVE, 13 PEOPLE ALREADY PAID. GET YOUR ORDER IN THIS WEEKEND. WES WILL BEGIN SHIPPING ORDER MONDAY. Congratulations, because of your effort and a handful of other m3 art aficionado's we hit our mark for the Motive artworks group buy! Now comes the important part. Its all on you. Please pay pal me ASAP. The sooner we get payment the sooner we can process, print, and ship! The sooner you can enjoy. Thanks so much and enjoy! 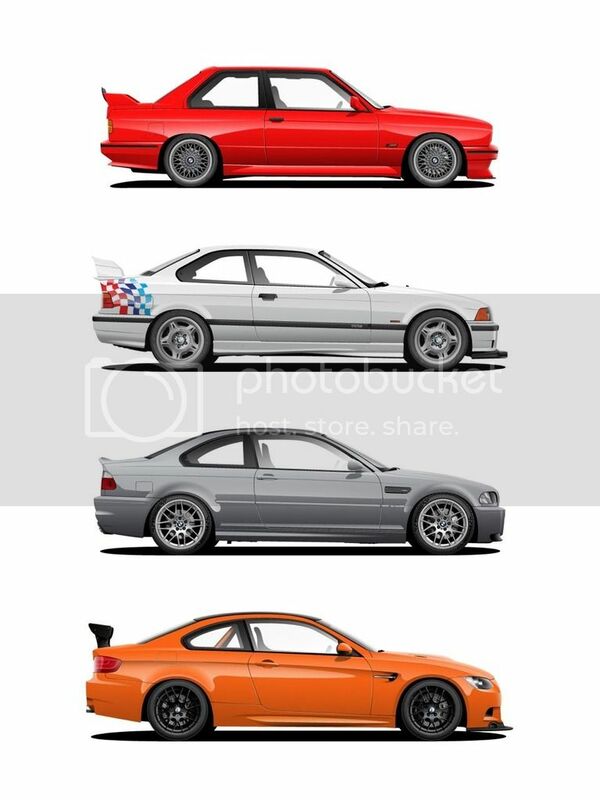 I'm try to gauge interest for a m3 generations poster groupbuy... featuring the best of each generations m3 including the E30 evo... Check it out and add your name to the thread below. Last edited by yosshaa; Fri, Mar-31-2017 at 04:39:24 PM. Thanks, should be fixed now. any chance a second one is coming back? This. I want one too! Yea is this officially open for ordering. I'm interested. All times are GMT. The time now is 04:12:30 PM.